Happy Monday! Our weather is finally beautiful and our home is slowly transitioning into summer mode! I thought this was the perfect time to start sharing bits and pieces of our summer home tour with you. 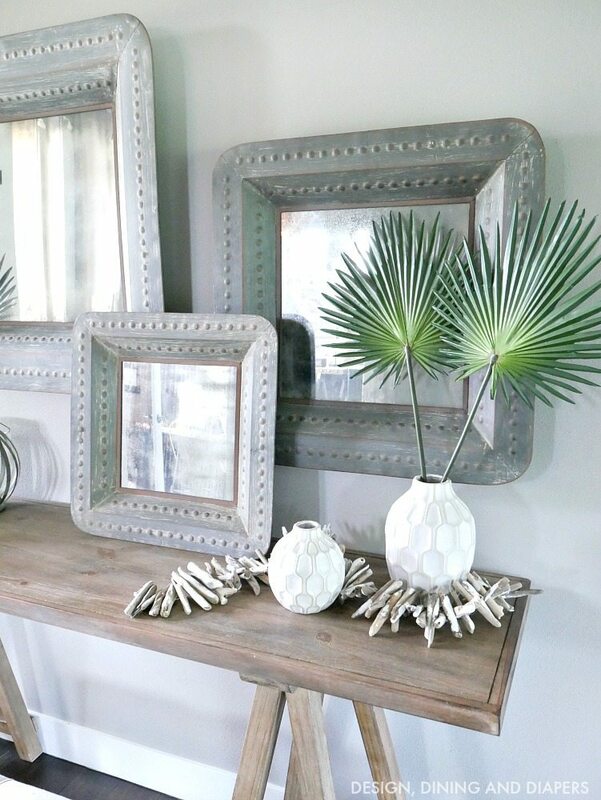 Today, I’m revealing our Summer Entry Way along with 9 other bloggers. 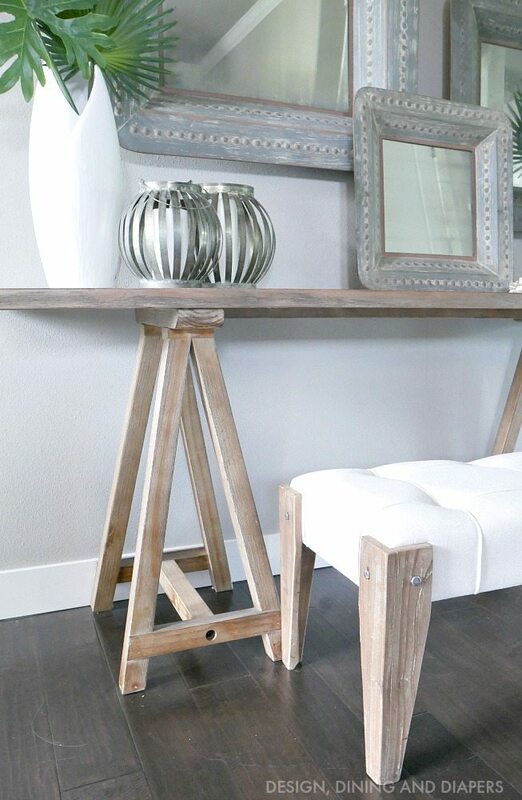 If you are visiting from Sincerely, Marie Designs , welcome! I just love what Amanda did with her entry way. In April, I shared our spring porch which will stay with us through summer. I love watching the plants continue to blossoms and fill out over the porch. You can head over to that post to read more about how I fill our planters. I really enjoy the decor we picked for our entry way because it’s so versatile. 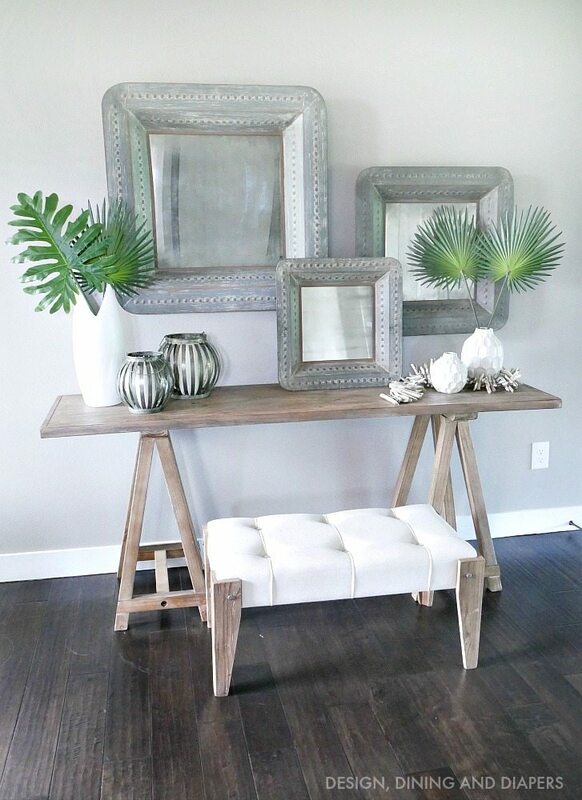 By keeping a neutral table and rustic mirrors, I can easily transition it into different seasons by simply changing out a few of the accessories. This summer, I went with a subtle modern boho chic look by adding a few geometric vases and metal lanterns filled with big tropical greens and a little driftwood garland (that I added a little white to). The large white vase I picked up at HomeGoods a few years ago, and the lanterns are from this season at Michaels. 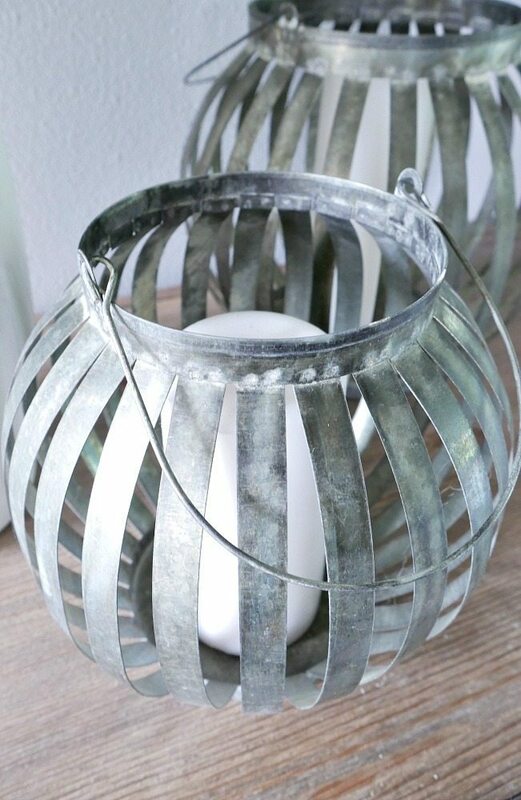 These lanterns are so versatile, you can use them as lanterns like I did here or vases like I did for our Easter tablescape. I’m looking forward to sharing more of our home with you over the next fews weeks. 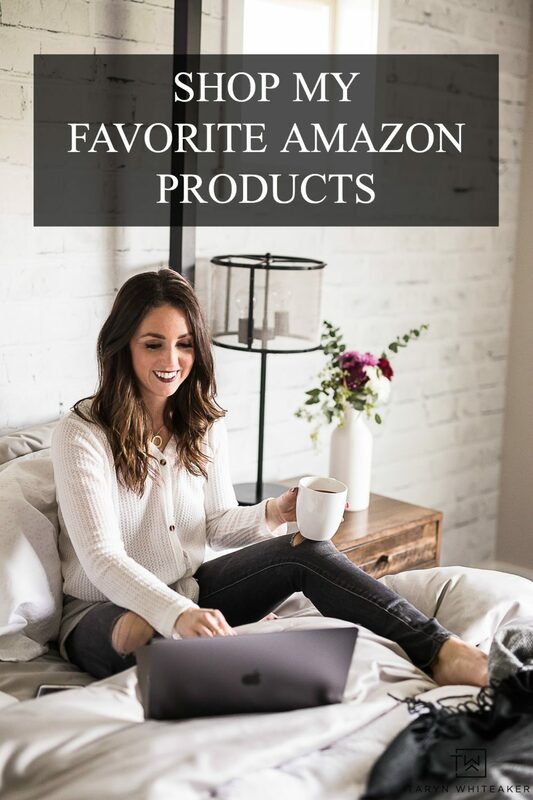 Before you go, make sure to hop on over to Christina’s Adventures below. 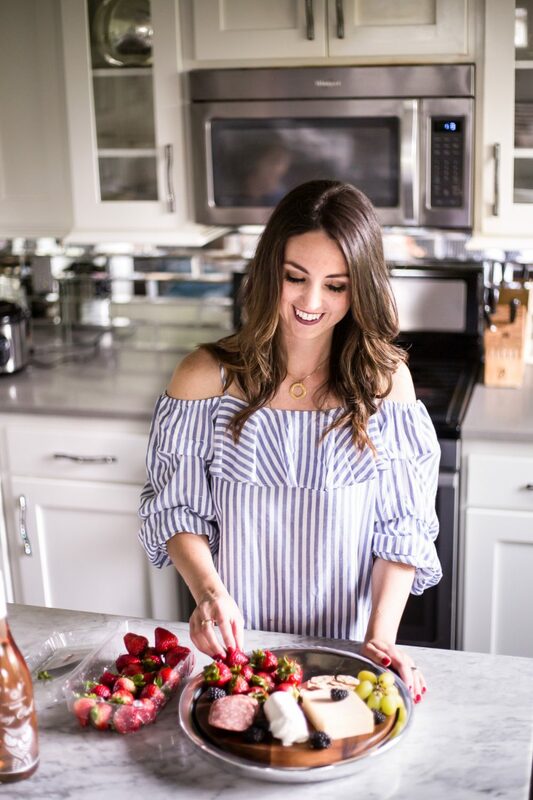 I always love what she does with her home tours! Make sure to click the link above so you can hop through to all the beautiful summer entry way below! Taryn, I’m in love with your front door! It’s so unique! 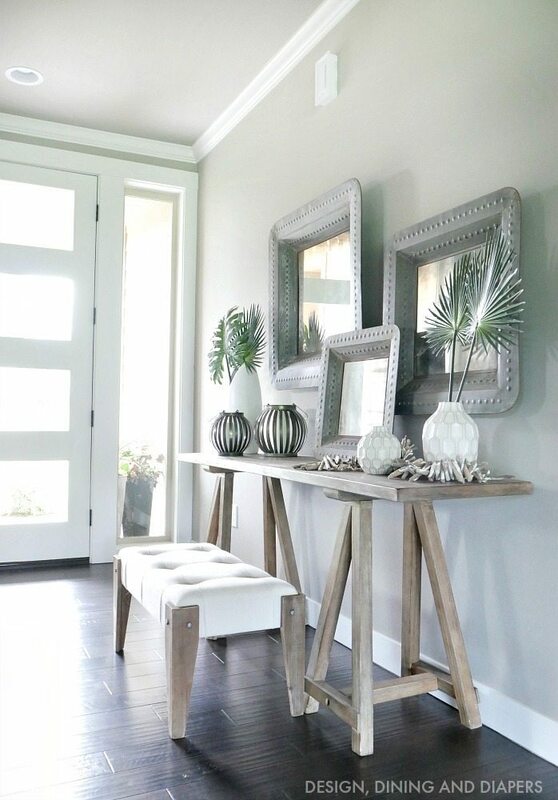 The rustic mirrors are a nice touch in your entryway! Thanks for organizing today’s tour. 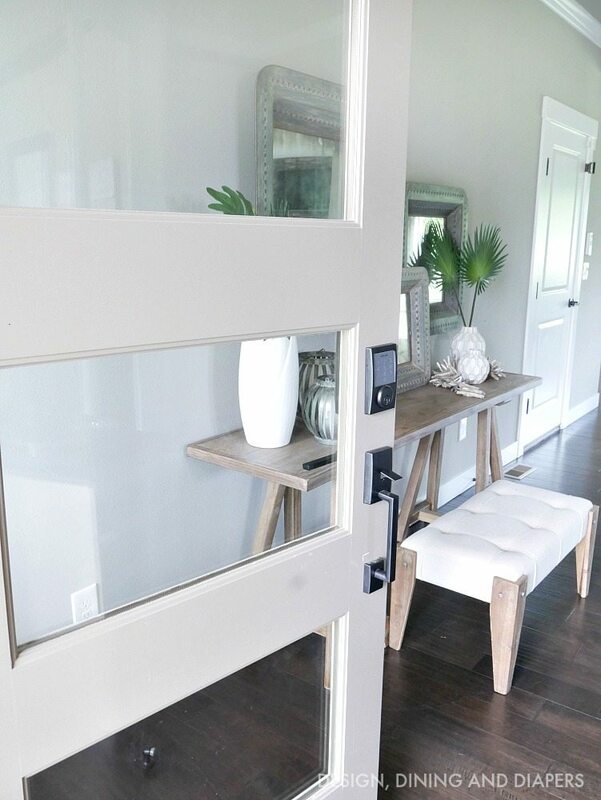 Beautiful entry way, Taryn! 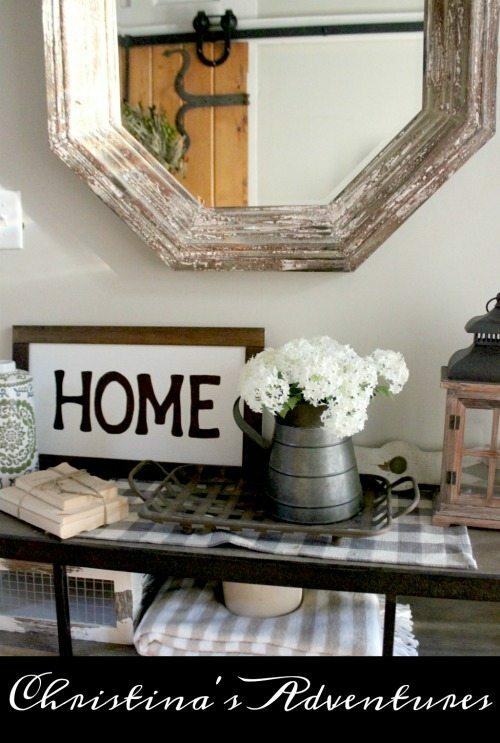 I love the set of rustic mirrors and that table. It’s all so pretty! Those mirrors are phenomenal!! They are really so unique. Love the vibe. And your flowers… I’m so behind this year I have planted nothing. Cheers to along, beautiful Summer. Beautiful Taryn! Everything is so welcoming. And I love that table! Your summer planters look beautiful, Taryn, and I love your entry table display! I’m all about the big tropical leaves this season, too:) Thanks for all your organizing! 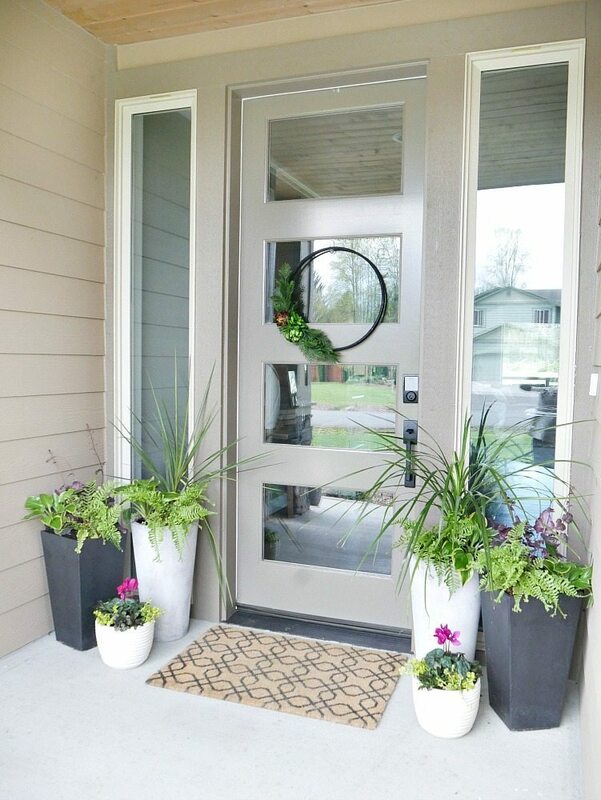 Such a beautiful and welcoming summer entryway, Taryn. 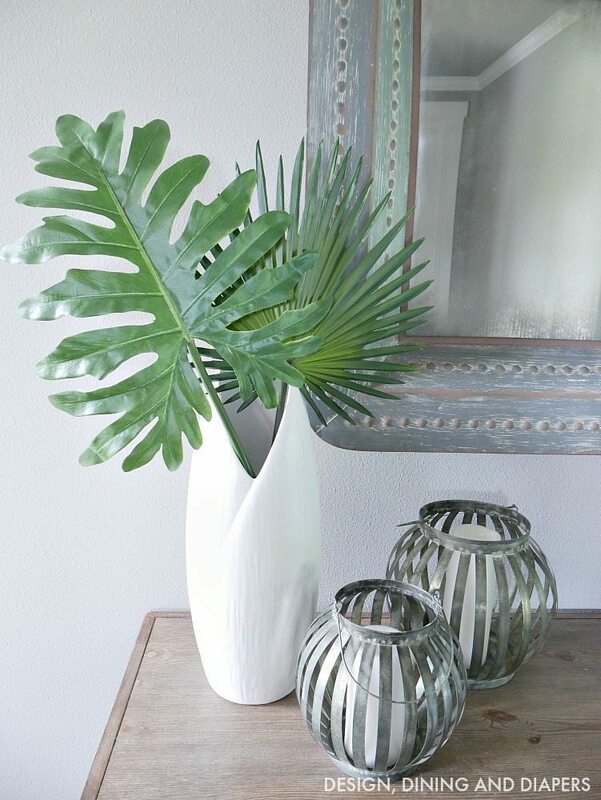 I love the palm leaves…such a pretty touch!